Our cat mascot Spike, refreshed by the incredibly talented Natelle, of Natelle Draws Stuff. The floral motif in each Spike design is very near and dear to my heart. The flowers were handpicked from my memorial tattoo piece, dedicated to two beloved family members I lost. These soft enamel pins on antique nickel comes with a limited edition heart-shaped cap. I love the subject matter. I love cats and daffodils both. I love the colors. 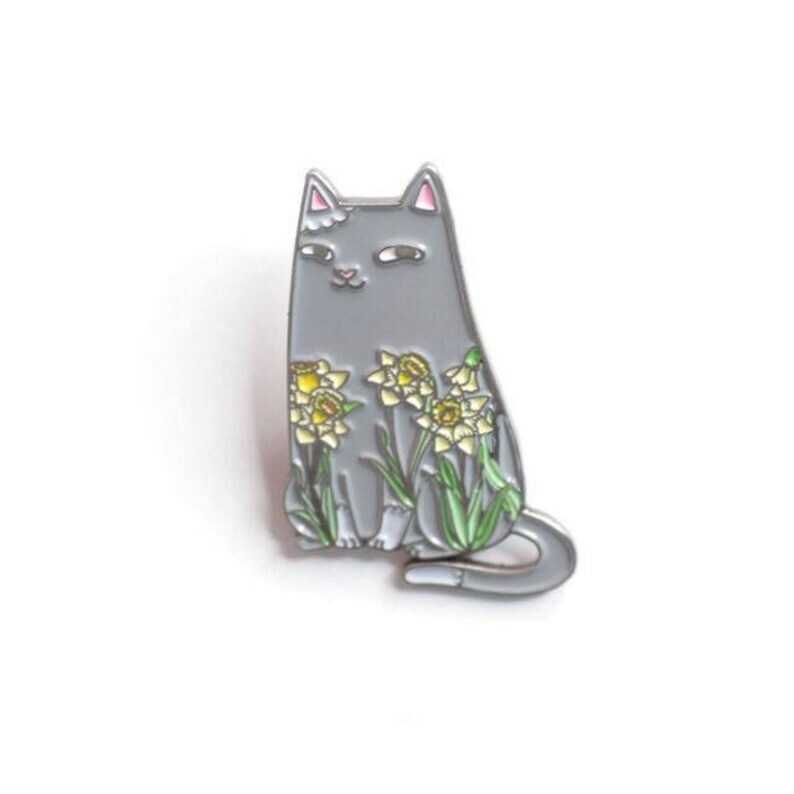 I don't particularly like the style of this pin. The details are raised but somehow hard to see. I should have read the return policy before I purchased it. So cute!! Really sturdy pin. And thanks for the adorable stickers!